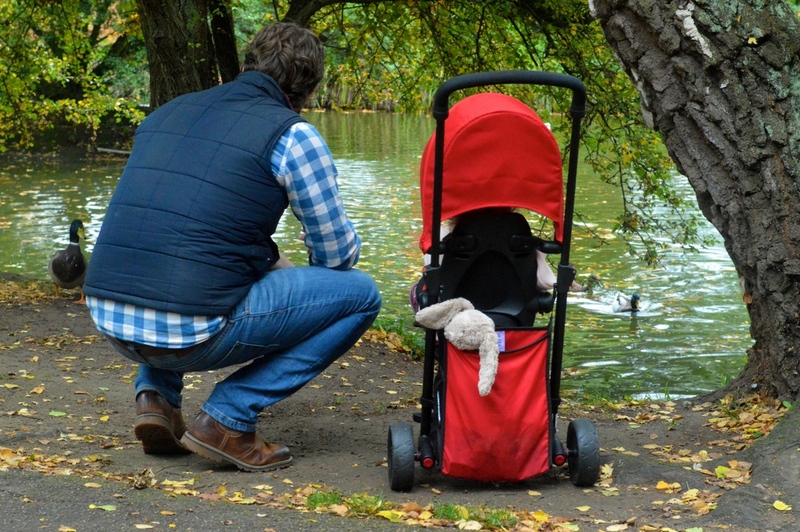 SmarTrike contacted me just over 7 weeks ago to see whether we would like to trial their latest addition- the smarTfold. Florence was turning one and we had just moved to Cheltenham so it seemed like the perfect opportunity to get out and explore our new surroundings in a way she could be really involved. I didn’t really know what to expect when it arrived, folded up in to a small suitcase like size. However no sooner had we snapped it in to shape- with only one glance at the instructions, it was a fully formed trike and ready to hit the streets. The trike is incredibly light weight, sturdy, easy to manoeuvre up and down kerbs and weaves the supermarket aisles and farmers market stalls so smoothly. I feel safe in the knowledge that Florence is secure in it as she is harnessed in and there is a safety bar around her middle. Within only half an hour of our first trip out to the park and back I was stopped 5 times by people asking what make the trike was. Florence adores the trike. She is incredibly confident in it and very relaxed. 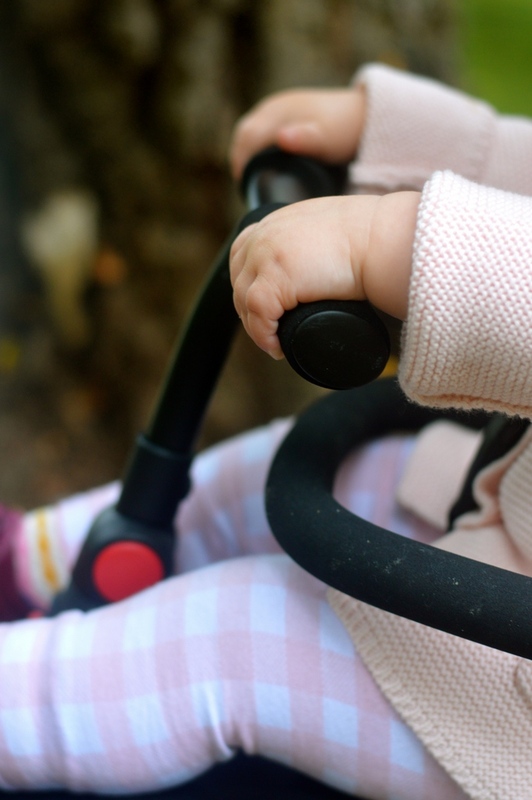 With her buggy, she now knows that if she’s being lifted towards it, that means being strapped in and contained for a while which can cause some pretty extreme screaming fits resistance. It’s amazing how quickly she can go from soft and cuddly to as stiff as a board with all 8 teeth on show and tears flying out at every angle. However, with the trike, she will happily be lifted in and out. She looks forward to it when I say “find your trike” and waves her arms. It feels like every trip out is an adventure for her and it has allowed us to get out and explore so much already. We have taken it on many off-road walks, up hills, through busy streets, muddy puddles and along uneven ground. It adapts to any surrounding and can be folded down in to a portable bag, popped in the boot of the car and taken on to the next adventure. I am confident to take her out on her trike for an hour or two (with a scheduled trip to the park in between). Pushing her along is a joy and she will sit there happily admiring her surroundings and waving at passers-by. It is as an enjoyable experience for me as it is for her as I can watch her as she interacts with everything going on around her; pointing, waving, laughing, chattering away and absorbing. The canopy protects her from any rain and also acts as a sun visor. 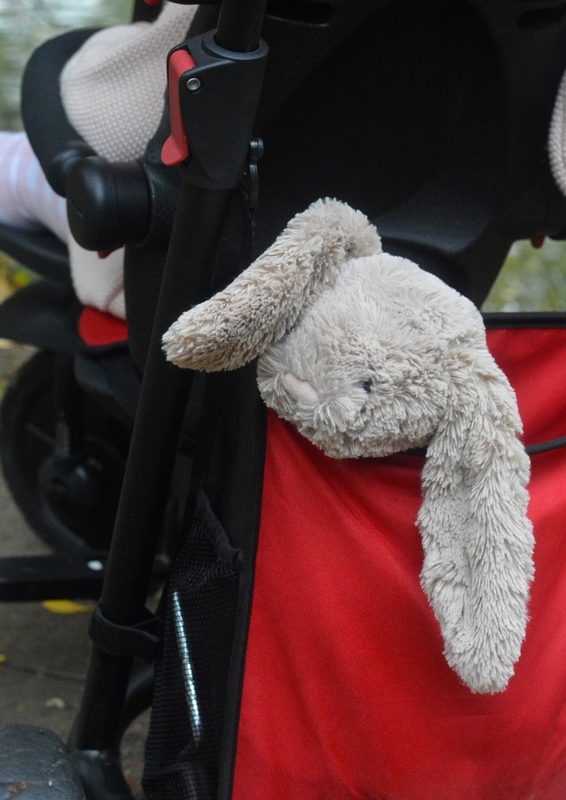 It has a small holdall at the back which comfortably fits a bottle of water, nappies, toys, wallet, snacks, a favourite teddy and a few groceries. It is hard to find any fault with the trike and both my husband and I adore it. There are two small frustrations I have having thoroughly road tested it daily. Firstly it is not as easy to manoeuvre when reversing and it can feel like you have to drag it back in to the position you want. Secondly, there is no brake lock which I think could be an incredible asset if added. When out and about in the park, feeding the ducks or at traffic lights, I just feel a brake would be a good safety addition. Peace of mind for any parent / carer of the child they are pushing. As Florence is still quite small she has been using the leg rest until recently. I have only in the last week or so removed it as she can now reach the foot rest. 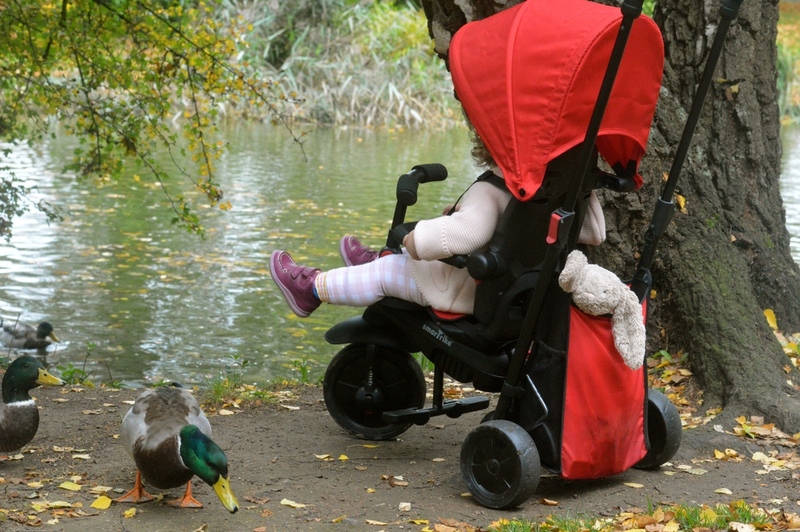 It’s so great to have the ability to customise her seating position and that the trike will adapt to her as she grows and eventually the control will change from parental control to child control when she will be let loose to explore on her own, pedalling and steering, without Mummy. Until then I am going to relish our walks and watching her blossom in to the most wonderful little girl. Touch Steering® Technology for an easy smooth ride. Easy navigator button transfers from parent to child control. The Folding Trike 400 is smarTrike’s new patented novelty, designed to fold just like a stroller. The ultimate in versatility your little one can use it in 7 different ways, 3 with your control and 3 on their own. It is so compact that 85 per cent of its volume reduces when it’s folded. No hassle assembling and no tools needed, one click and you’ll be ready to go. Features include Touch Steering® technology and a large storage bag for a smooth and convenient ride. No dismantling, easy fold design. This unique design allows you to fold the trike while it stays intact! just a few clicks and you’re done! Patented touch steering® for easy maneuverability. Easily switches from parent control mode to child control mode. With a click and a twist the trike will go from the parent controlled trike that you love to an independent trike that children will. Most compactable trike available. No other trike out there folds to such small dimensions! fits easily in any car, perfect for any parent! UV canopy, safety bar, storage bag, eva wheels.